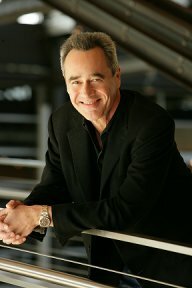 Tarzana, CA - Mr. Jim Morris, General Manager and Executive Vice President, Production at Pixar Animation Studios and Producer of the movie JOHN CARTER, will be a Special Guest of Honor at the Tarzan/John Carter Centennial Celebration to be held on the evening of Saturday, August 18, 2012. The celebration is part of a three-day Burroughs Bibliophiles Convention to be held August l6-18, 2012 at the Warner Center Marriott Hotel in Woodland Hills. CA. Mr. Morris oversees the production of the studio's features, shorts, DVD content and theme park activities. He has produced the Disney/Pixar Academy Award winning feature WALL-4, for which he was also awarded Producer of the Year in Animated Theatrical Motion Pictures from the Producer's Guild of America. With extensive experience in visual effects and digital applications, he brought a wealth of knowledge to the production of John Carter, including leading edge computer graphic imaging. The movie was an adaptation of the book, A Princess of Mars, written by Edgar Rice Burroughs in 1912, a novel which provided seminal material that was used later to launch numerous science fiction genres such as Superman, Star Wars and Avatar. Mr. Morris is attending the Tarzan/JohnCarter Centennial Celebration at the invitation of Edgar Rice Burroughs, Inc., the corporation established in 1923 to house and promote more than 70 novels and 40 short stories written by Mr. Burroughs. The three-day event, which is free and open to the public, will include a huckster room for collectors, panel discussions on literary and film subjects, and guest celebrity appearances and will culminate in a banquet held at the hotel, Saturday, August 18, 2012. The Celebration will also include a tribute to the novel, Tarzan of the Apes, also written by Mr. Burroughs in 1912. Mr. Morris will be joined by Dr. Jane Goodall, also a Special Guest of Honor, who at age 11 was inspired by the Tarzan stories to devote her life to the study of primates in Africa.